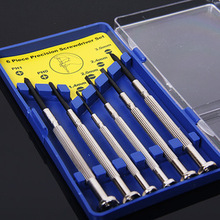 This set of tools are designed for repair mobile phones, hard drives and other electronic product. They are essential tools for family use. 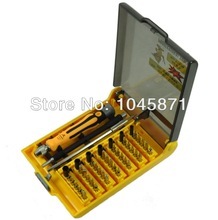 1 x ScrewDriver Profession Tool Set. 2. To US & AU, with EUB ePacket post takes 7~15 WORKING days for receiving. To other country, normally takes about 10~25 WORKING days with normal post services. 3. DHL or Fedex can be provided, too, which takes takes 3~8 WORKING days. Please contact us or select the service in SHIPPING content when place PO. 4. Package will ship according to customer’s registered address, so please make sure no miss on your address. 1. If the item is damaged or defective when you receive, please contact us within 14 days after receiving the item. 2. Replacement or refund willl be arranged once issue confirmed. 3. Except incoming damaged or defective, return post fee is handled by buyer. Please return with original shape. 4. We won’t charge custom import duties, taxes and other related fee, so please let us know if any concerned by you when place PO. 1. We are always trying hard to have a good long-term relationship with you. 2. Please contact us to resolve any problem you have, we will assist you in any way possible to resolve it. Please don’t left Negative neutral feedback. 3. Positive feedback will be very appreciated for you left to us. And ditto will done for you once we receive positive feedback from you. 1. Our Working time is Monday~Saturday, 9:00~20:00. 2. Your message or emails will be replied within 24 hours. As for the different time, the reply will be a little bit delay. 3. If you can’t receive our reply in time, please send again, we will reply asap. 4. You can call us, too. English, Japanese, Mandarin is available. 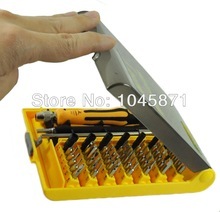 Wholesale Orange Suction Cup Dent Puller Smartphone Glass Panel Repair Tool, Size: 5.8 x 6.5cm.